CAMBRIDGE, ON – A new brewery headed by a multiple award-winning brewmaster will be opening its doors next week in Cambridge. Wave Maker Craft Brewery is being founded by Scott Pautler, a graduate of Niagara College Teaching Brewery who has worked at several Ontario breweries, producing beers that have won gold medals at the Ontario Brewing Awards, Canadian Brewing Awards, and the Canadian heat of the World Beer Awards. Wave Maker will be launching with two of Pautler’s beers on tap – First Brew Heller Bock (6.7% abv) and a still to-be-named Oatmeal Stout (4.8% abv) – plus guest taps from Brothers Brewing and Great Lakes Brewery. Sales will initially be limited to glasses for on-site consumption only, but once final licences are received, beer will also be available to go. 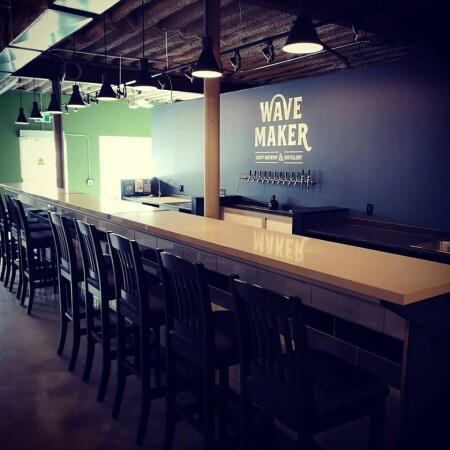 Wave Maker Craft Brewery is located at 639 Laurel Street in Cambridge, and will be opening on Thursday March 14th at 3:00 PM. Full business hours and other details will be announced soon on the Wave Maker Facebook page.